2018 Disruptive ETF Virtual Summit Live Update: Is a Cryptocurrency ETF Coming Soon? After reaching a high of $20,000 in December 2017 and now falling over 80 percent to $3,500, even the top investor in blockchain, the underlying technology for cryptocurrencies, has no faith in the leading cryptocurrency. “I do believe it will go to zero. I think it’s a great technology but I don’t believe it’s a currency. It’s not based on anything,” said Jeff Schumacher, founder of BCG Digital Ventures, during a CNBC-hosted panel in Davos, Switzerland. Schumacher, an investor in blockchain-focused companies, was part of a NBC-hosted panel in Davos, Switzerland. Also speaking was Glenn Hutchins, chairman of North Island, who was more optimistic of the cryptocurrency as a store of value. “It might be that the role of bitcoin in the system could be to bring value back, to hold your value there while you have tokens that have other use cases that you aren’t using at the moment,” said Hutchins. 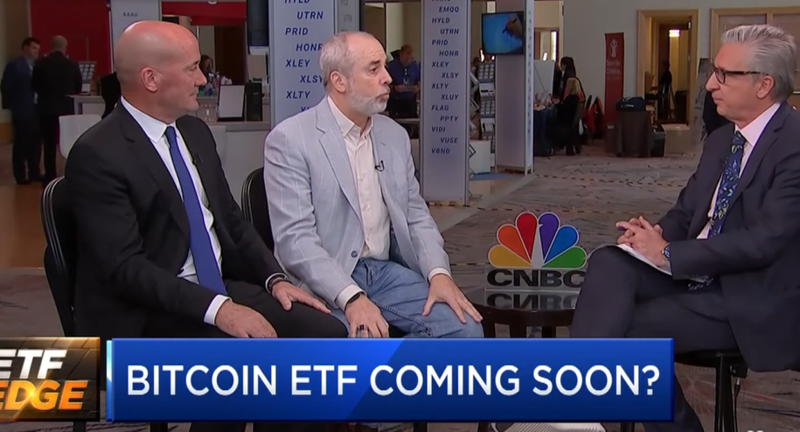 All said, the road to a bitcoin ETF has seen many roadblocks, but Edelman Financial Engines’ Ric Edelman says it’s an inevitability. In the video below, Edleman joins Tom Lydon of ETFTrends.com to discuss what that could mean for the cryptocurrency. For more trends, visit the Core ETF Channel.